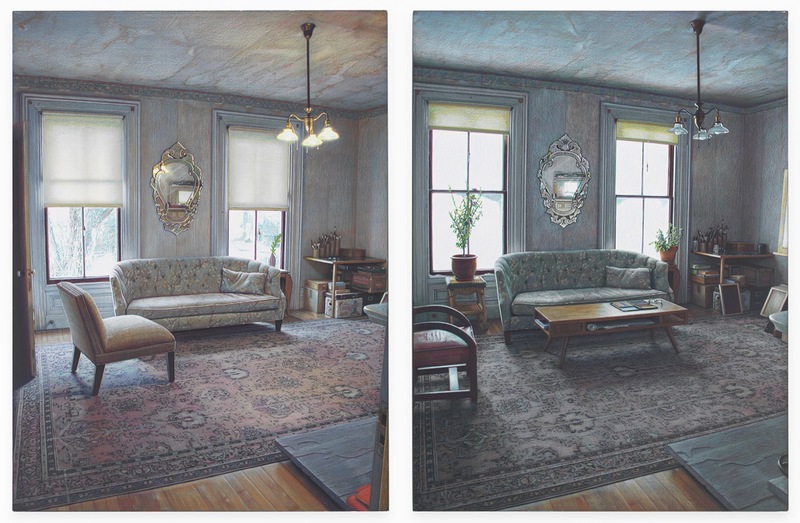 Eric Green, Time Diptych—Tern, 2014, grisaille, varnish, and colored pencil on board, 16″ x 25″. 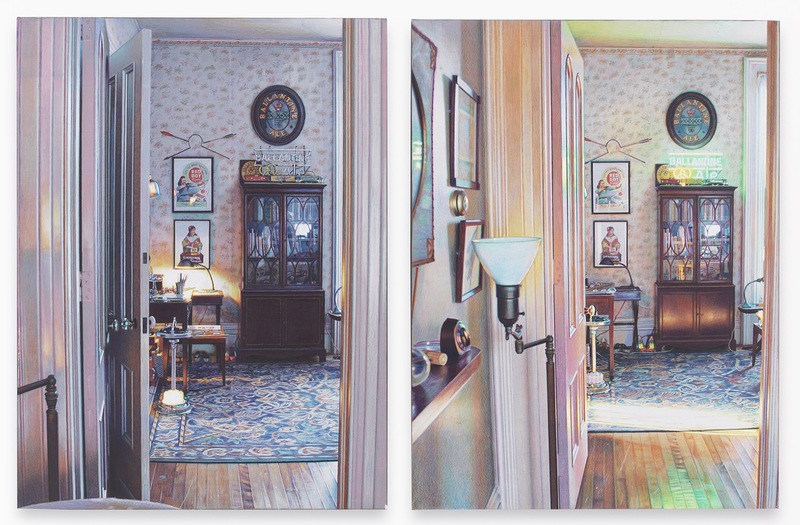 Time Diptych: Bridge, 2014, grisaille, varnish, and colored pencil on board, 16″ x 25″. 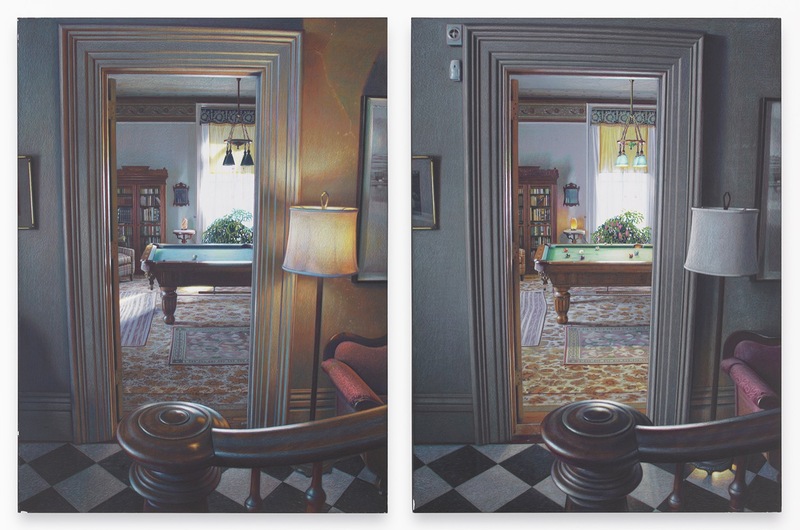 Time Diptych: Arrows, 2015, grisaille, varnish, and colored pencil on board, 16″ x 25″. 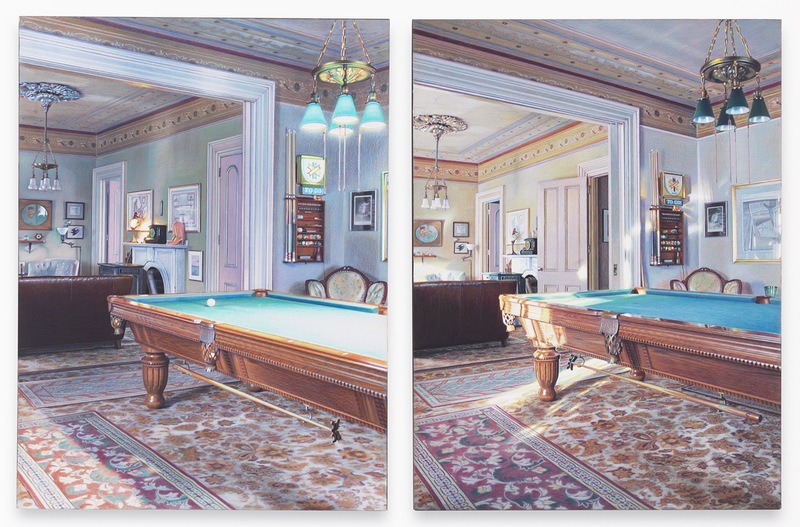 Time Diptych—Berkshire, 2014, grisaille, varnish, and colored pencil on board, 16″ x 25″. 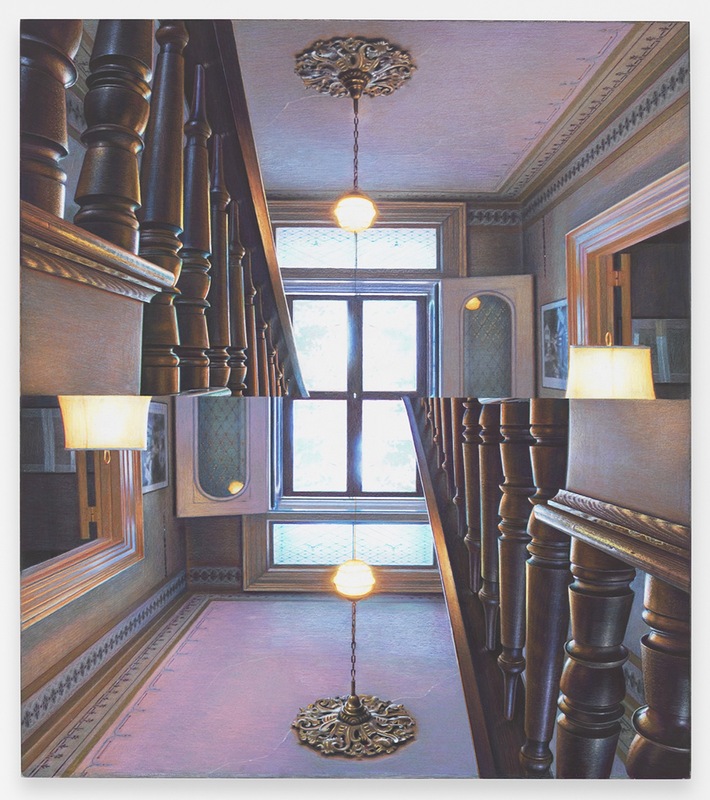 Mirrored Room Four, 2016, graphite grisaille, colored pencil, and UV varnish on board, 18″ x 16″. 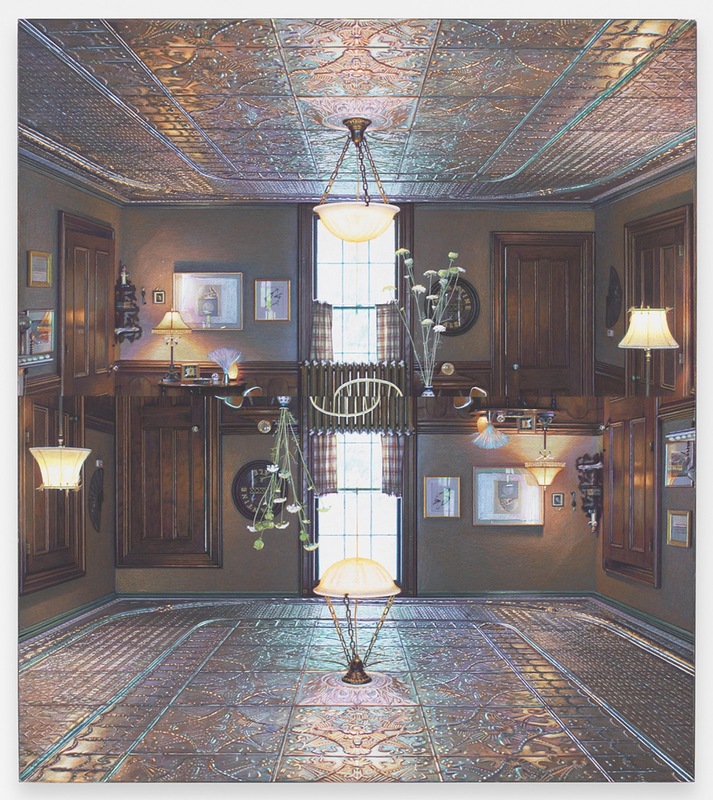 Mirrored Room One, 2015, graphite grisaille, colored pencil, and UV varnish on board, 18″ x 16″. 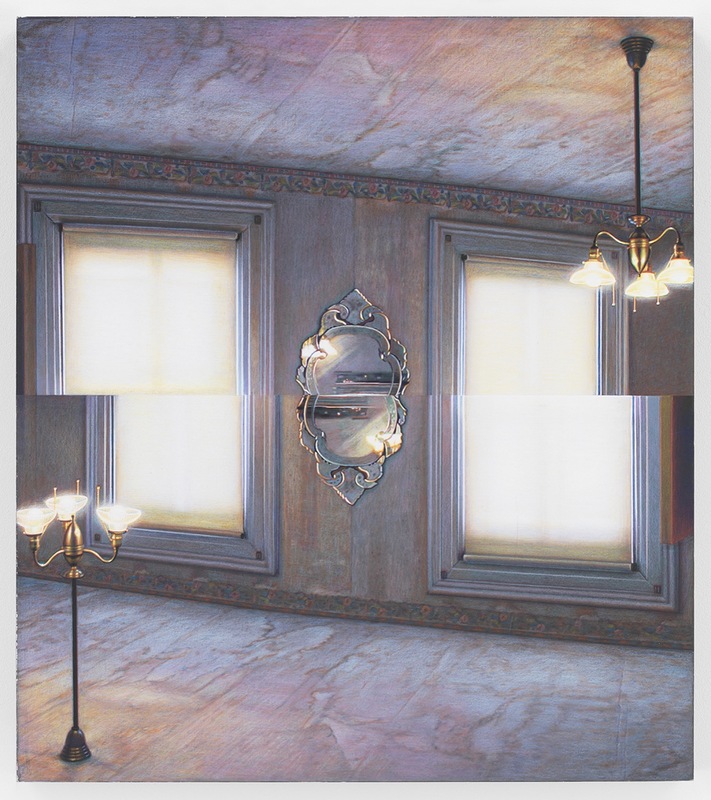 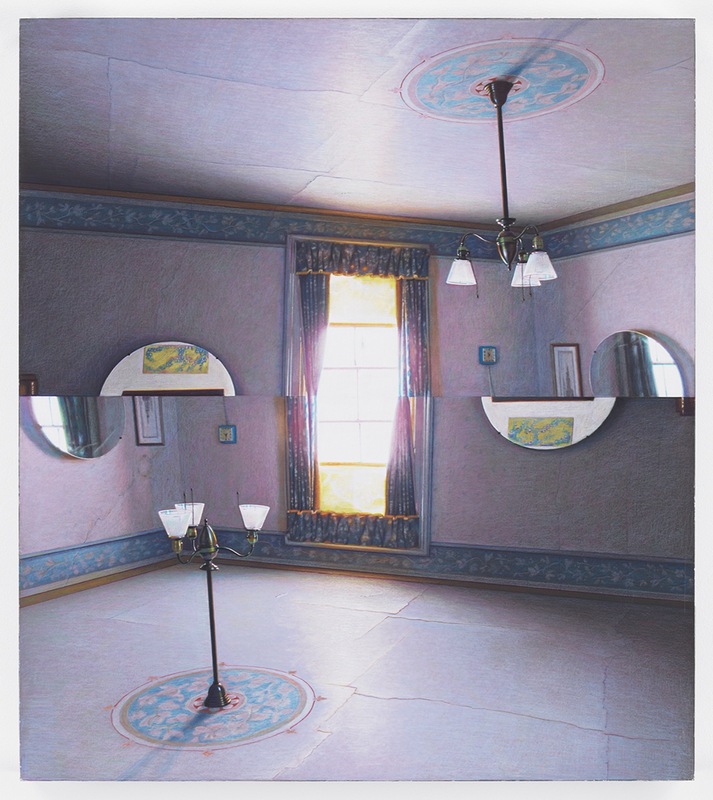 Mirrored Room Two, 2015, graphite grisaille, colored pencil and UV varnish on board, 18″ x 16″.